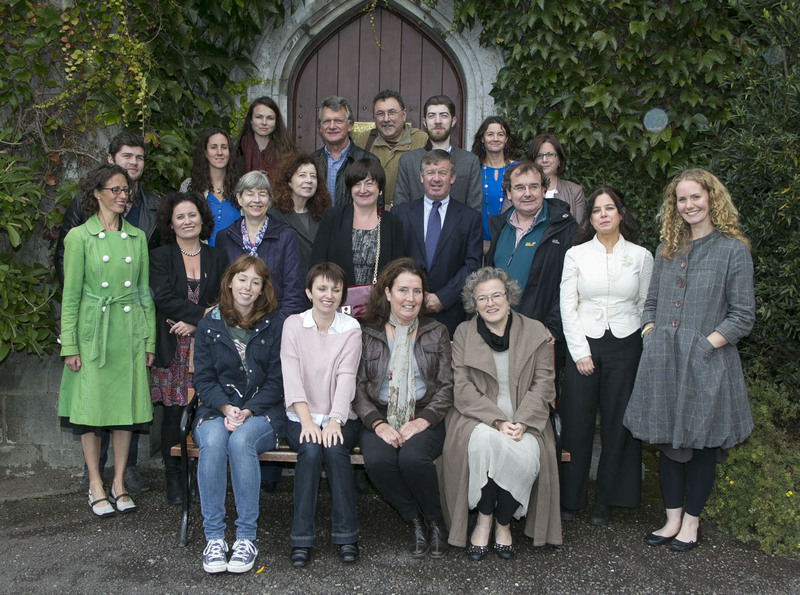 Here are the faculty and students on the new MA in Creative Writing at UCC braving the drizzle on the first day of term. This is the inaugural year of the creative writing MA in Cork and it boasts an A team of writers and academics – poets Leanne O’Sullivan and Matthew Sweeney, memoir author and academic Dr Eibhear Walshe, award-winning RTE radio documentary maker and performance artist, Dr Jools Gilson, novelist and journalist, Alannah Hopkin, food historian Regina Sexton. . . Not to mention the students, whom we’re sure, have great things to come. . .